I make dinner close to every night (that degree I have has to be used somewhere, right!? ), but these were the ones worth mentioning. Some were new to our menu & some are already favorites. 1. 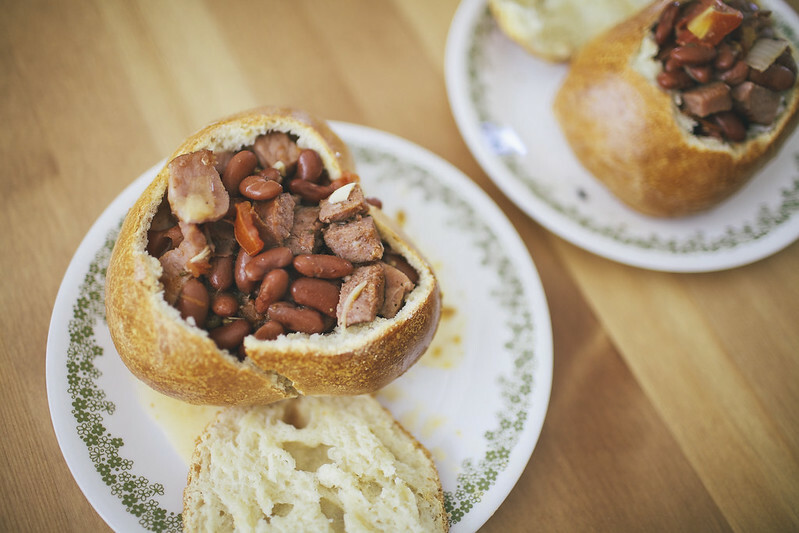 Red Beans & Rice in from scratch sourdough bread bowls. Oh my word. This was last night and I can't stop thinking about it. Even when Steven and I were stuffed to our ribs, we found ourselves dipping more and more of the crusty bread into the broth. I basically had to roll myself down the block for our evening walk. I always use a variation of this recipe. I add a little of each ingredient until it tastes how I remember it tasting when I lived on the Mississippi gulf. I also added a giant tomato and some leftover ham to the mix. Oh, and I used canned beans also. The bread bowls were made from this recipe. I added a splash of vinegar to give it some sourness (because heaven knows I don't have the patience to wait 8 days on a loaf of authentic sourdough bread). 2. My favorite salad. This one has become my lunch staple. 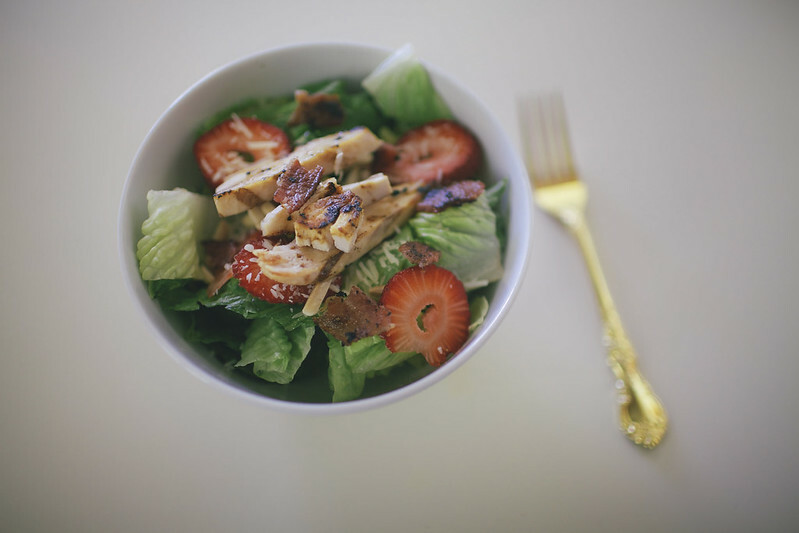 Romaine hearts, toasted almonds, grilled chicken, parmesan, fresh strawberries, candied bacon (for good measure), and lemon vinaigrette. Made with olive oil, lemon juice, garlic, salt, pepper, and honey. All to taste. 3. 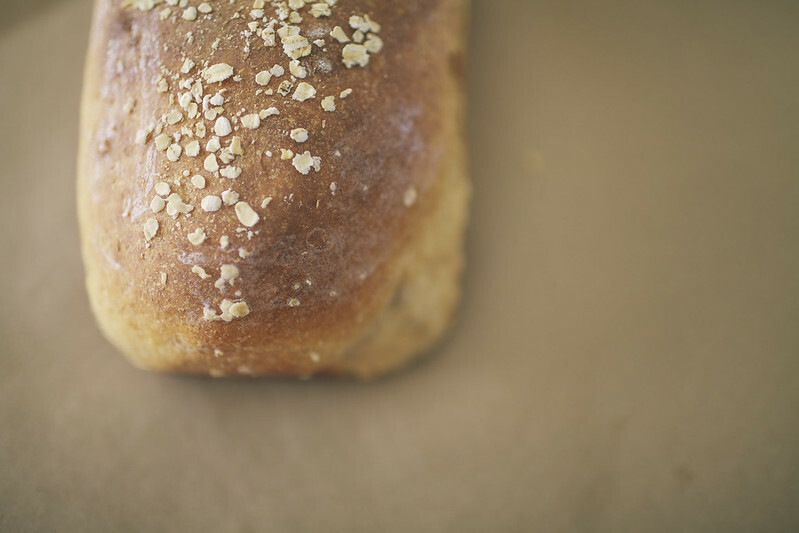 Honey Wheat Bread. I used this recipe, and have made it twice since. It's perfect with a pat of butter and raw honey, or a little bit of jam. I am such a sucker for homemade bread. 4. Chicken Parmesan Heros. 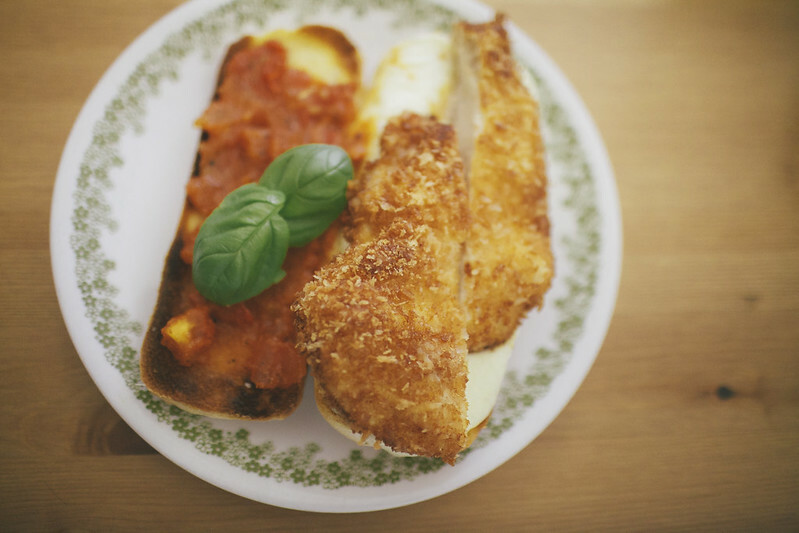 I toasted some sourdough rolls, made tomato jam, broiled whole milk mozzarella onto the rolls, and put it all together with panko fried chicken, and some basil from my herb garden. I basically made my version of this recipe. Delish. I know this isn't too informative, but I hope this gives you some dinner ideas, maybe! And I couldn't help but to share these recipes that I have come to love. Happy cooking! My goodness! Sign me up for dinner at your house! mmm I want to pin that red beans and rice one!! Yummy! I agree with your friend, Anne! Love you!!!!!!!!!!!!! This looks all so delicious. Great food shots.